In 2015 EDEE The Union of Greek Communications & Advertising agencies launched a new awarding body and institution for raw creativity. They asked us to design and develop the award new web site. The idea was to engage creatives in Greece through a fresh concept and aesthetics on rawness. Any awards web site also requires complex technology to handle and manage huge amounts of data. Raw awards rewards raw creativity: ie ideas in print and digital that never see the light of day. 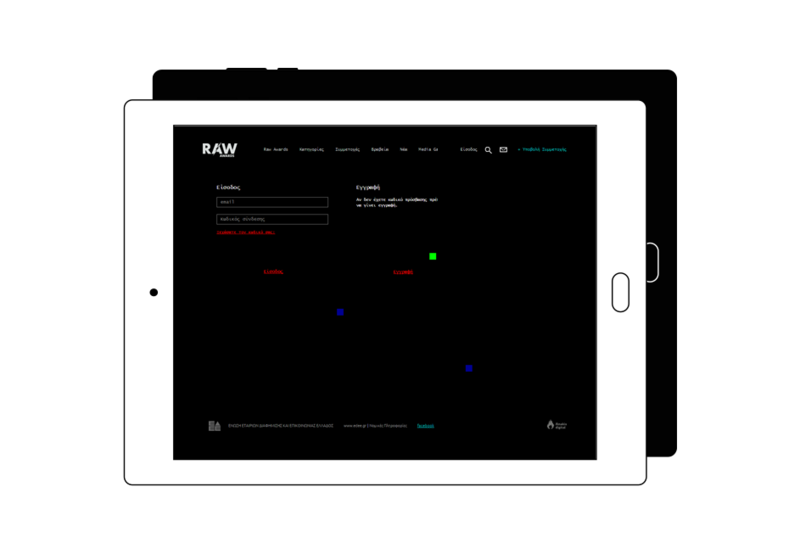 Just like every other awarding body, Raw awards is a living organism made up of work submitted by users. 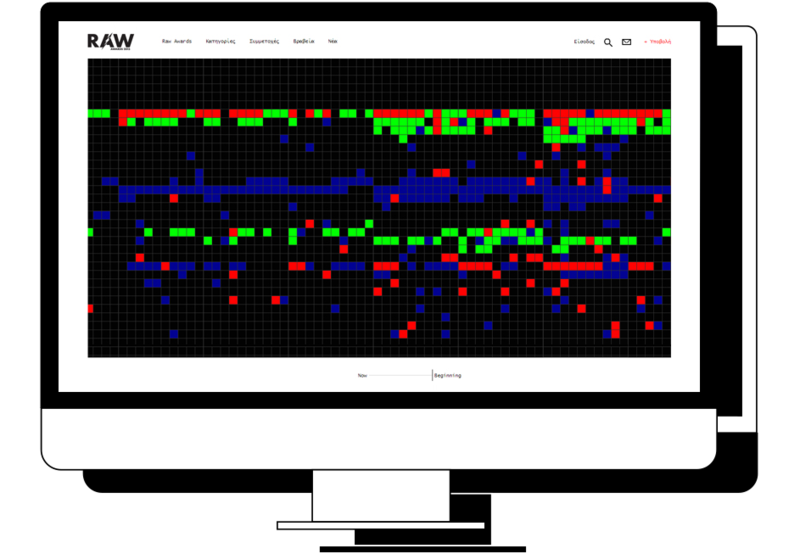 We thought up a raw data visualization concept that adds up traffic to each project through unique views and displays them on a timeline: the DNA of the awards. As views to each project increase, so does the visual imprint. Visual data is portrayed in two skins: pixels or arcanoid. As projects are submitted the visual imprint changes in length and complexity. The design and aesthetics of the web site are also raw, based on one of the most basic of visual elements: the grid.